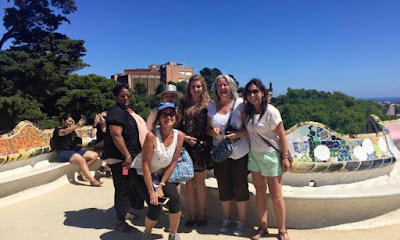 I really don't know how I managed not to write much about my Barcelona writing course trip here because I really enjoyed and gained confidence from it, now I seem to be writing about it everywhere else! This week on the Thelma & Louise website there's a piece I wrote sharing my experience in Barcelona on the writing course that was a prize win, but not originally mine. The winner backed out at the last minute, it was offered by Pink Pangea to anyone who wanted to take it, and I applied and got in. 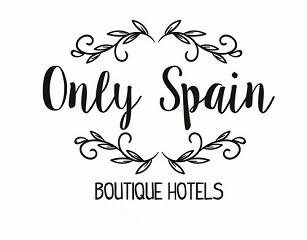 Read about it here - Rachel, the Travel Writer. As for writing retreats in Spain, come and stay in my holiday home in Jaen, northern Andalucia. No wifi and no mobile phone coverage in the house, peace, quiet and chill out time. I always find ideas come to me in moments of silence and inactivity and Casa El Reguelo is a great base to relax and write. I live less than ten minutes away if want you help, companionship, shopping doing etc.